Self-improvement is never an easy thing. It takes dedication and a willingness to become a better version of yourself. The same is true of a growing business, even Ayrshire’s favourite supplier of garden aggregates and building materials is always trying to improve things. Recently, The Cobble Shop has taken a huge step in terms of productivity and efficacy. Ayrshire, meet our brand new toy! 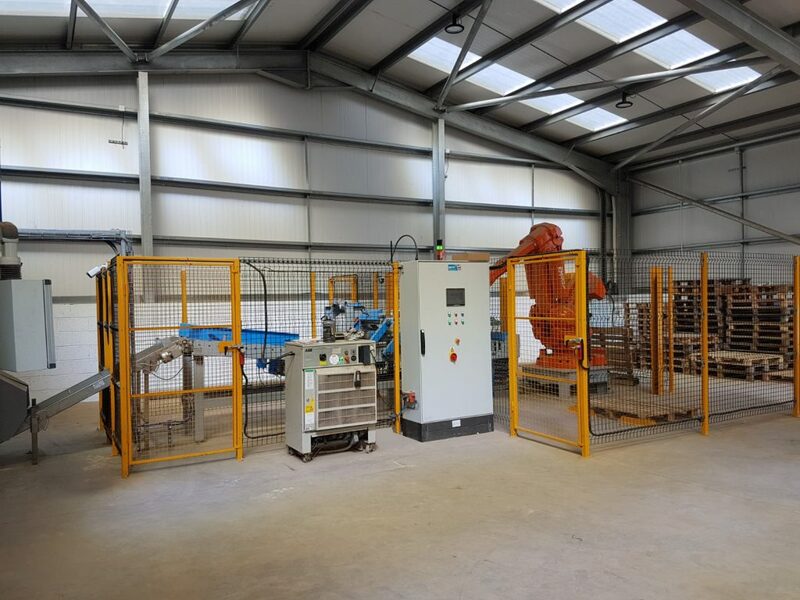 This state-of-the-art high-speed robotic bagging machine is the latest member of the Cobble Shop family and will allow us to greatly increase our productivity and output. The bagging plant automatically weighs and doses product that is sent along a conveyer belt before being tightly sealed in a polyethylene bag and stacked on pallets by a high-tech robot arm. 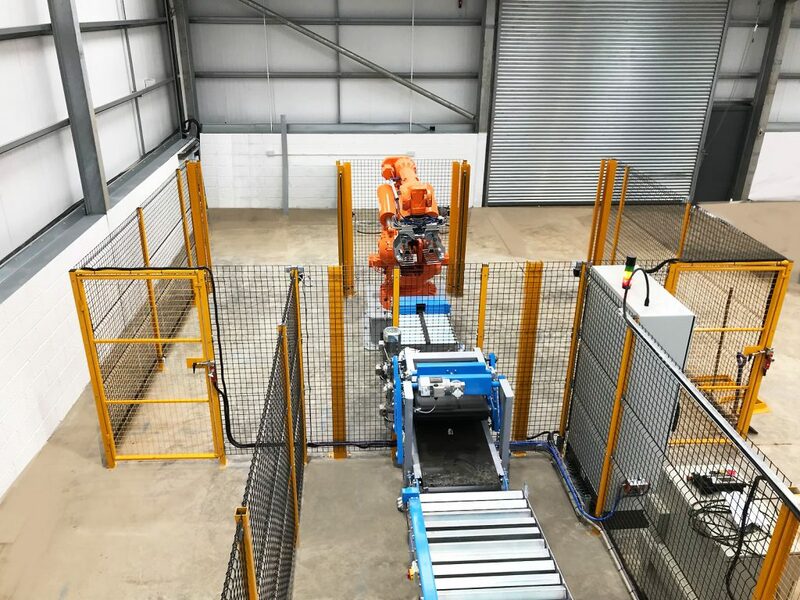 The precision and “intelligence” of the robot arm is such that it can be programmed to stack pallets in a certain order, and automatically adjusts to ensure perfect balance is always maintained. The is able to load up two pallets at the one time, with each pallet being perfectly stacked and ready for removal by Cobble Shop employees. The speed of throughput on the machine allows us to output up to 10 bags of material per minute (depending on the material in use). A far greater number than would be possible with man-power alone. 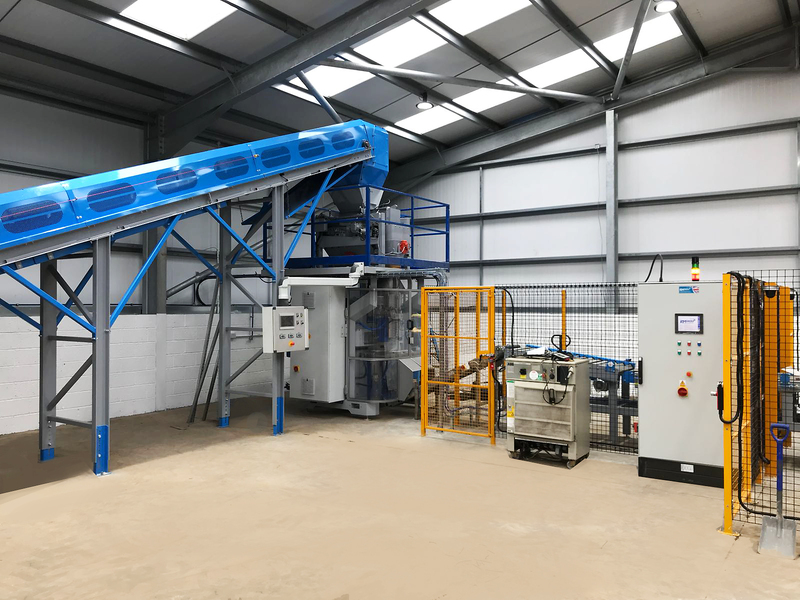 The system is housed in a specially built construction on the premises of The Cobble Shop and will be used to bag chips, pebbles, cobbles and gravels. The new machinery will open up all new job opportunities for people in the local community as the business expands and grows. More product means more people to deliver it, more clients to network with, more progress all round! Moving into the wholesale market has long been one of our aspirations at The Cobble Shop and the new bagging plant will allow us to do this. The already excellent service we provide to our current consumer base will also improve, as we are able to work a lot more efficiently and bag more products in a faster time. These are exciting times for The Cobble Shop. Adding this new equipment to our arsenal represents a massive leap forward for the company. None of which would be possible without your continued support and custom, of which we are truly appreciative! When thinking of India, one thinks of beauty and colour. The majestic Taj Mahal, the vivid colours of Holi Festival, and the rich, bright colours of the nation’s traditional dress. This vibrancy and richness of colour is no longer limited to the people of India though, and the Cobble Shop can now bring it directly into your garden! By taking advantage of our ethically sourced Indian Sandstone paving slabs, which are mined in the north west region of Rajasthan in India, you can bring some of the rich colour of Indian culture to the UK. 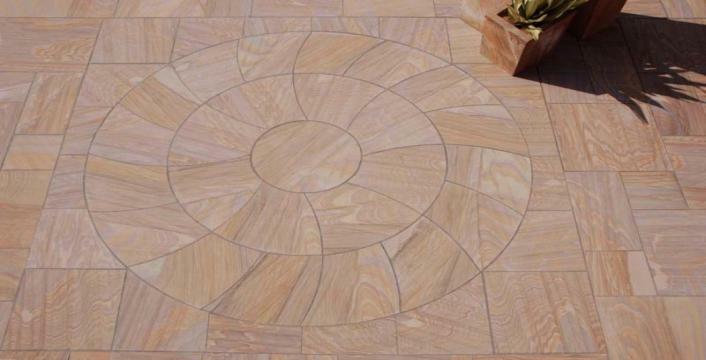 Indian sandstone paving is an excellent way to decorate your garden and looks fantastic. 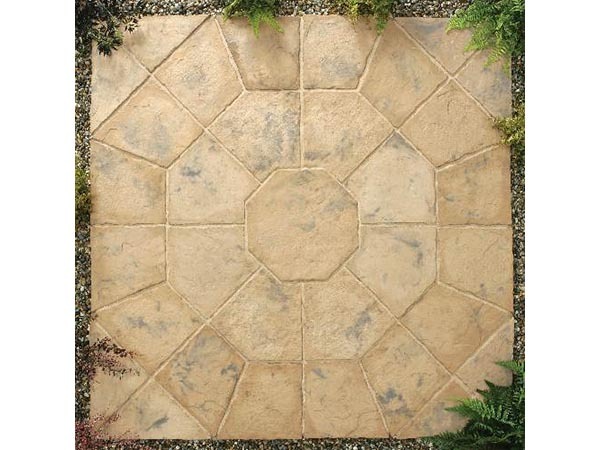 As with any natural stone, no two pieces look exactly alike, which will give your garden a raw feel and a timeless charm. 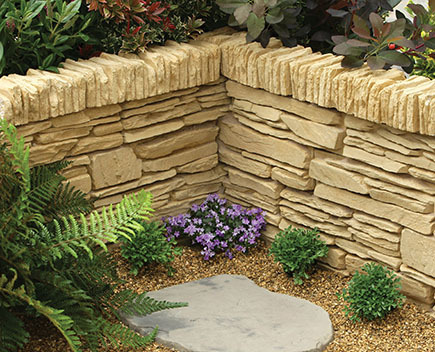 Use slabs of Indian Sandstone to create areas of your garden to enjoy long summer evenings after a BBQ; or use the edging packs of sandstone to create pleasant effects around the perimeter of the garden. 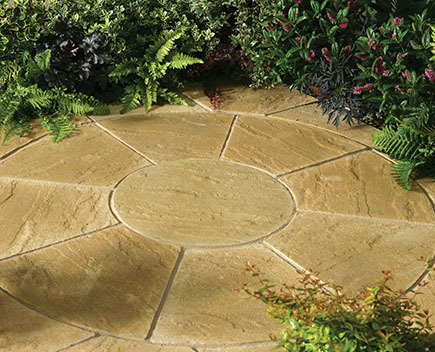 We even have circular Indian stone slabs, giving you the opportunity to use them as stepping stones for walkways, whether it be across the garden or as a path through chips and gravel stones. There are three distinct colours to choose from: Modak, Raj Green and Raveena. Such a selection gives you the chance to mix and match, in order to create something unique to your garden. As for sizes, each slab is calibrated to an even thickness to ensure level surfaces, and five mixed sizes are available. Indian sandstone paving is naturally durable and can easily withstand the rugged British climate. Over time, the stones will show signs of weathering, as all-natural stones do. This is a part of the process of having any type of natural substance in your garden or home; adding to the appeal. To learn more about Indian Sandstone Paving at The Cobble Shop, give us a call on 01560 485 413 or visit our website and say hello on our brand new live chat facility. Alternatively, you can pop in for a visit and we’ll be happy to help. We have many of our products on display at The Cobble Shop, giving you the chance to see them in a real-life environment, as opposed to in a photograph! It’s April, and it feels like it should be a touch more ‘Spring-like’, doesn’t it? We’re all still cooped up like freezing cold chickens in the office, praying for the sun to finally break through and give us some warmth. At least there’s no more snow though, always look on the bright side! The latest news from Cobble Shop HQ is that we’ve added an extra range to the already excellent line up of available offers. 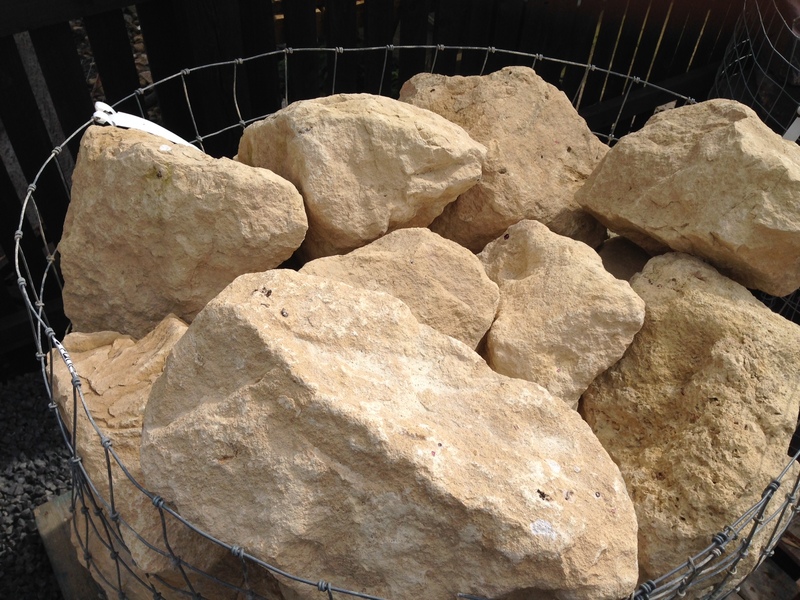 Just as we had last month, we’re offering some great specials on our garden gravels and stones! This month though, we’ve added the 20mm Polar White range into the mix! This stunning white angular marble stone comes all the way from Spain and is the ultimate eye-catching aggregate for a striking modern finish. The clean white colour gives a light, bright and clean look, perfect for a contemporary garden setting. 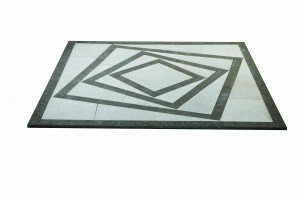 One handy tip for using the Polar White stones is that they work excellently in small areas. 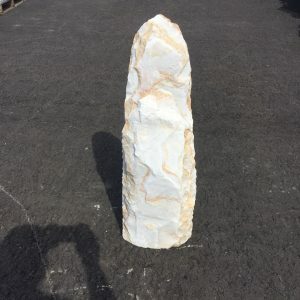 Using it as a highlight stone is a great way to add character to your garden. 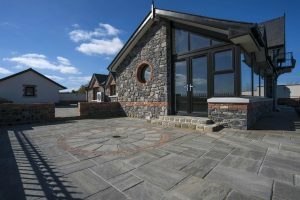 In terms of contrasting, this stone works better than most, and looks fantastic with slate rockery and against any other coloured aggregates. 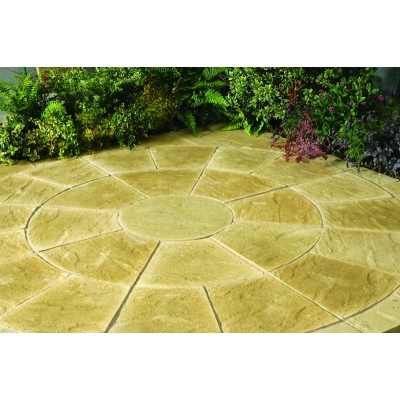 As well as this new addition, we still have five other kinds of garden stones on offer. 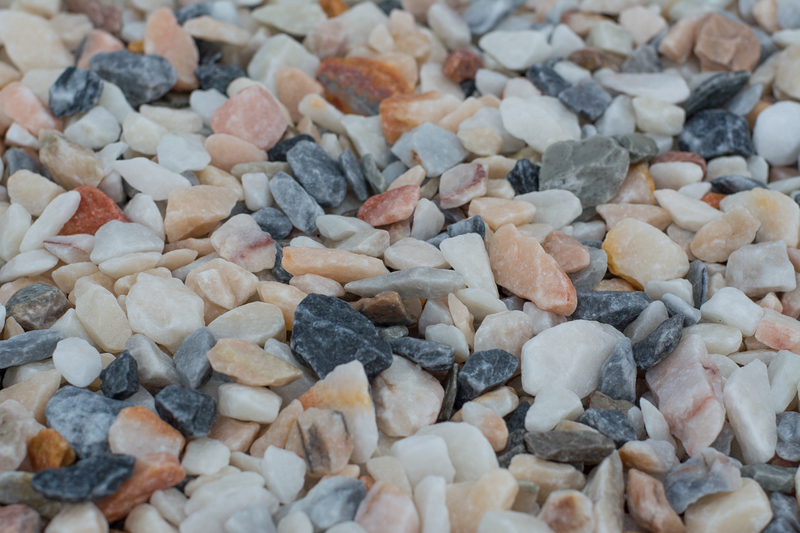 Each stone on offer is a type of angular stone, and is designed to give stylish coverage to driveways, pathways and other landscaping projects. Angular stones are particularly beneficial as they won’t move too much, making them the perfect solution for driveways and pathways. Other such stones on offer are Cotter’s Gold stones – which offer a vibrant mixture of colour, with golds and white stones intermixed to create the effect of similar to that of a beautiful pebble beach on a tropical island. Rich red coloured stones and the natural browns of our Highland Toffee chips are great for creating a natural, timeless look. The Silver-Pink Granite pack offers a traditional granite stone look, interspersed with eye-catching pink stones to add that extra bit of style. Also on offer is the Ben Nevis granite stone chips, which offer a traditional, no-frills granite grey option for your garden. With almost 30% off of each of these bags of decorative garden stones, this is the perfect opportunity to get to work on your summer landscaping and gardening project, saving you enormous amounts of money in the process. To learn more about the monthly offers at The Cobble Shop, give us a call on 01560 485 413 or visit our website and check out our brand new live chat facility. Alternatively, you can pop in for a visit and we’ll be happy to help. We have many of our products on display at The Cobble Shop, giving you the chance to see each in a real-life environment, as opposed to on a photograph. Spring has officially sprung! Finally, we can cast off the cold cobwebs of winter, disregard the layers upon layers of clothing and look forward to some sunshine! Well maybe not sunshine, this is Scotland after all; we can look forward to warmer weather though. It’s also time to start planning how we are going to rejuvenate our garden this summer! We’re delighted to have the charming and innovative Zest range of products available to purchase at The Cobble Shop. 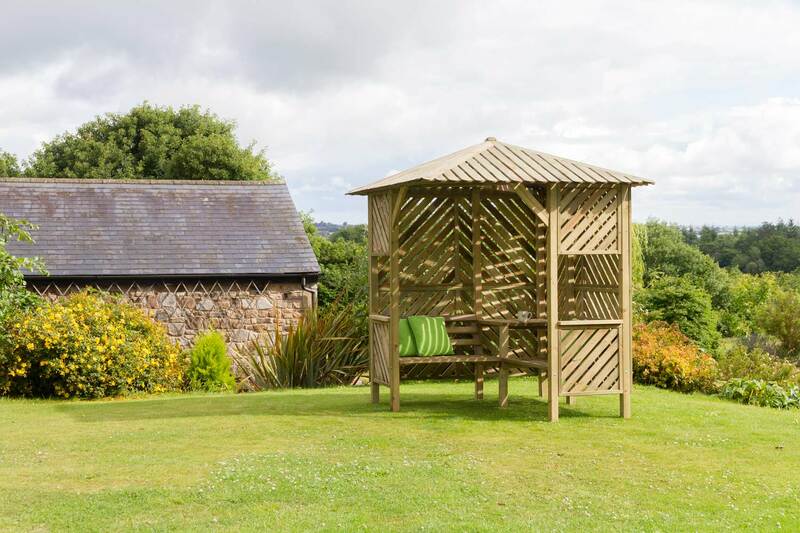 This range is the perfect summer solution for your garden, and features everything from benches to gazebos to arbours. The Zest range features all manner of stylish benches and garden dining furniture to ensure none of your guests will be fighting for somewhere to sit down. Nor will anyone have to stand around while holding their drink, burger and little plastic plate during your next BBQ! These wooden picnic benches are the perfect place to sit down and eat during the warmer months and excellent when hosting guests. The Rose Round Picnic Table is one of our best items and can comfortably seat 8 guests. Sometimes in the summer all you want to do is relax and enjoy the weather. As we’re living in Scotland, it’s crucial to make the most of each and every second of decent weather we’re afforded. For these occasions, the ones where you want to lay in the sun without being disturbed, we have some excellent ranges of arbours, pergolas and swinging chairs. 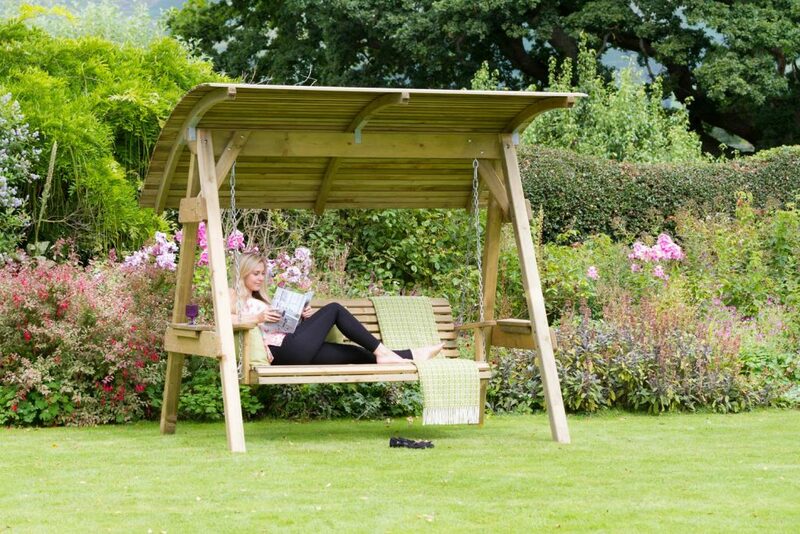 With its simple and elegant design, the Hollywood Swing is the perfect place to relax and will help you get the most out of your garden this summer. For those who feel woozy at the thought of swinging back and forth all day, we’d recommend our gazebos and arbours. The Brighton Arbour brings bags of charm to the garden and is a fantastic place to host friends and even have a bite to eat in, using its fixed corner table. This dynamic range comes from a multi award-winning supplier and is created using the highest quality materials while at the same time remaining environmentally friendly. At the Cobble Shop, we strive to keep our eco-footprint as low as possible and love working with suppliers with the same vision as us. The Zest range is created using a 0% timber waste policy and all water used in the manufacturing process is recycled rain water. At the Cobble Shop, we have all the tools and expertise to ensure your garden is the place to be this summer. By September, you’ll definitely be known as ‘the hostess with the mostest’ if you come to The Cobble Shop for all your summer garden planning! The more the merrier, as the old saying goes. Some like to push back against this claim – too many cooks spoil the broth – they’ll argue. But in our line of work, more means better. More staff means more ideas. More products equal more choice of garden aggregates. More space gives way to greater potential. And more additions to our fleet of trucks brings us, and the customer, many benefits. With the addition of yet another Clamshell lorry to our fleet, our delivery times will be slashed. Not only that, but the amount of garden aggregates we are able to deliver will also go up. Our service continues to become faster, more streamlined and overall better than anyone else out there! One of our long terms strategies here at the Cobble Shop is to continually reduce our carbon footprint. We do this by sourcing greener garden products and materials and improving our efficiency when it comes to things like deliveries and how we handle waste products. With this new fleet of Clamshell Lorries, we are meeting our targets in these areas. 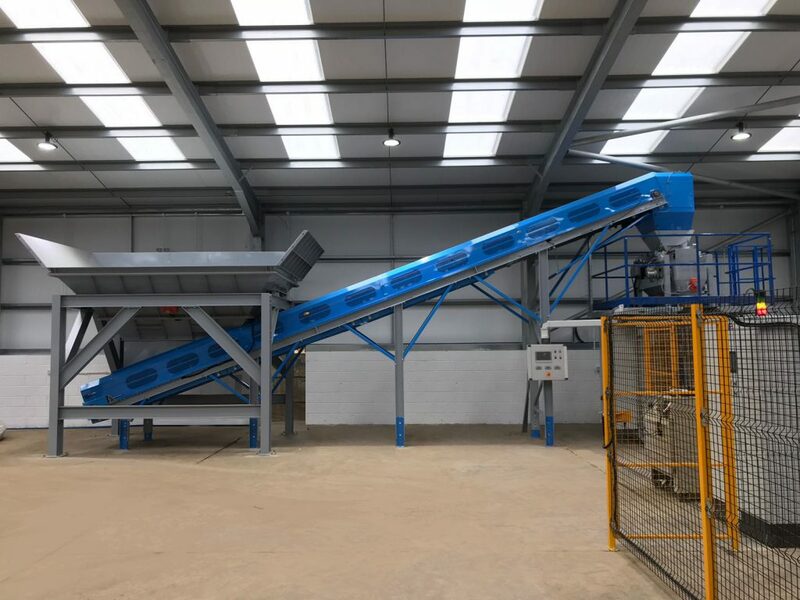 The new vehicles are much more efficient and also give us the capability to collect and dispose of waste materials with the grab loader crane and 500 litre Clamshell Bucket on the back. So, as well as delivering your garden aggregate products, we can now remove any waste materials you don’t want or need. This improves our overall service greatly, and leaves you, the customer, free from the burden of having to dispose of your own waste materials and unwanted garden trash. 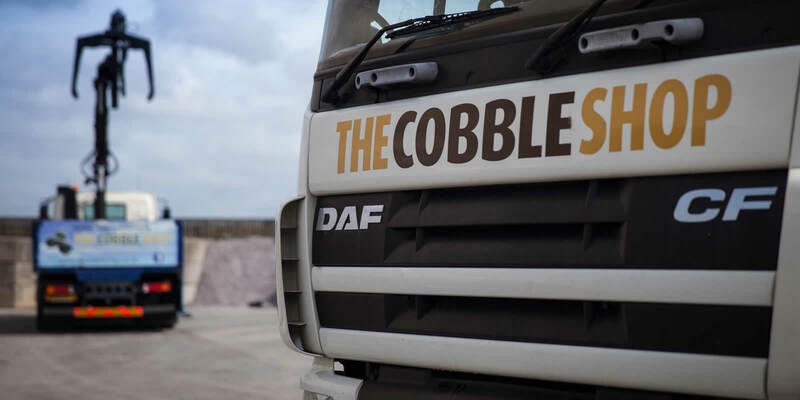 In this ever greener and eco-friendlier world, we wanted to make sure The Cobble Shop was at the forefront of the fight and on the side of the environment. Each time we add a new lorry, it means we have to do less back and forth journeys to pick up materials, reducing our fuel consumption and once again helping the environment, as well as the customer. As well as using these awesome machines for ourselves, we want everyone to know that they’re also available for hire, with a driver. 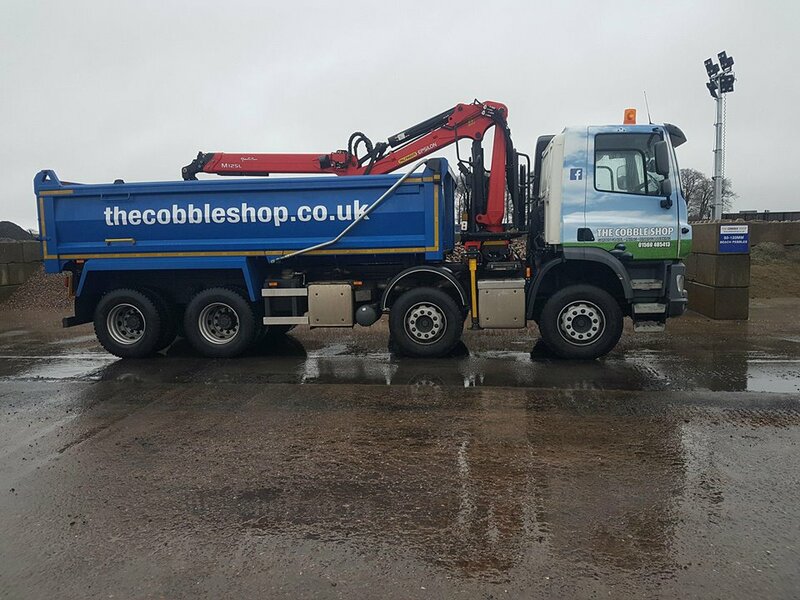 So, if you’ve got any kind of garden or industrial project which could benefit from the use of one of our Clamshell Lorries, give us a call and we can arrange hiring out the vehicles for you. As with everything here at the Cobble Shop, we like to add our own touch to it. This goes for our Clamshell Lorries too, which you will see decorated in our signature branding! Give our drivers a wave when you see us out and about! With the seemingly relentless ‘Beast from the East’ finally leaving us alone, it’s time to get back to normality here in Scotland. The abundance of falling snow has covered up all of our hard work here at The Cobble Shop. And while a little of the white stuff can make everything quite pretty, we don’t appreciate our gorgeous displays and premium products being completely covered! So we’ve decided to celebrate the re-emergence of everyone’s gardens from under the blanket of snow and the passing of the storms. Throughout the month of March, we’re offering some great specials on our garden gravels and stones! We currently have five different kinds of garden chips on offer, ranging in colour and shape. 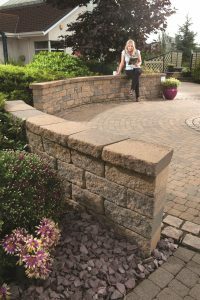 Each stone on offer is a type of angular stone, and is designed to give stylish coverage to driveways, pathways and other landscaping projects. Angular stones are particularly beneficial as they won’t move too much, making them the perfect solution for driveways and pathways. Choose from our rich red coloured stones or the natural browns of our Highland Toffee chips. Cotter’s Gold stones offer a vibrant mixture of colour, with golds and white stones intermixed to create the effect of similar to that of a beautiful pebble beach on a tropical island. The Silver-Pink Granite pack offers a traditional granite stone look, interspersed with eye-catching pink stones to add that extra bit of style. 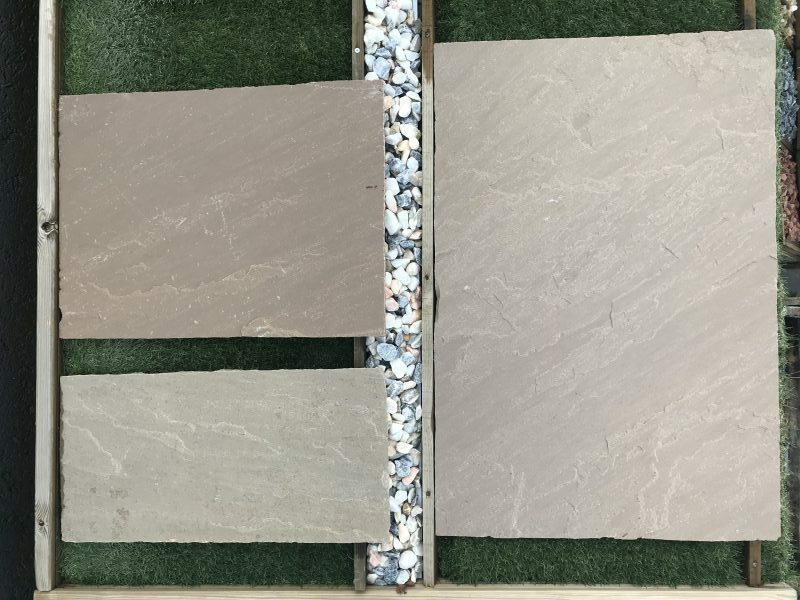 Also on offer is the Ben Nevis granite stone chips, which offer a traditional, no-frills granite grey option for your garden. We’re offering up to almost 30% off of each of these bags of decorative garden stones throughout the entire month of March! This is the perfect opportunity to get to work on your summer landscaping and gardening project, saving you huge amounts of money in the process. We hope that next time a storm passes over and leaves your garden carpeted with snow, the inevitable thawing and melting will reveal a garden you are excited to see and proud to show off! To learn more about the monthly offers at The Cobble Shop, give us a call on 01560 485 413 or visit our website and check out our brand new live chat facility. Alternatively, you can pop in for a visit and we’ll be happy to help. We have many of our products on display at The Cobble Shop, giving you the chance to see products in a real life situation, as opposed to just a photo on our website. Derek Keir March 2, 2018 Comments Off on What’s the Story with Tobermore? What’s the Story with Tobermore? Wouldn’t you like to know? Sorry, I had to do that. The only thing Tobermore has in common with the popular Scottish kids’ TV show is its vibrant range of colours, but more on that later. 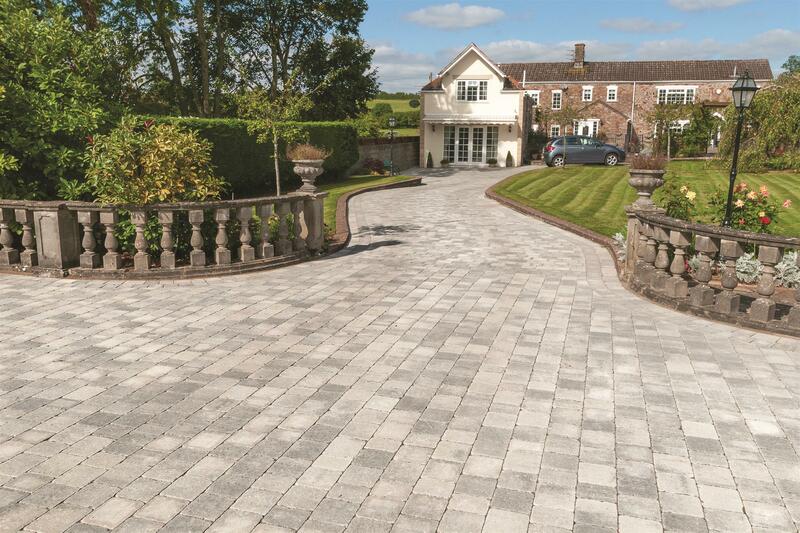 Tobermore Paving is one of our most exciting new products. 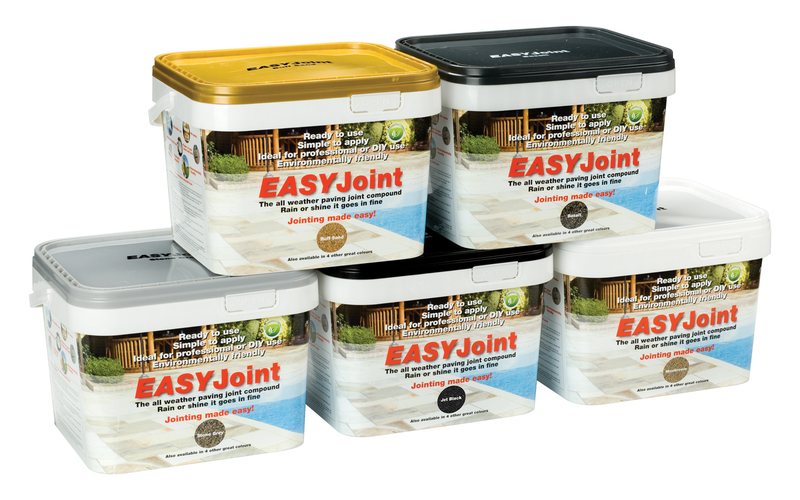 Capable of creating stunning sections of walling, paving, edging and steps in your garden. Here’s why you should consider Tobermore products before you begin your next garden project! Tobermore was established in 1942 and have more than 75 years of experience within a family owned business. All of this knowledge and experience has transformed them into the very best in the industry, remaining true to their core principle of sustainability and producing high quality building supplies. Each and every one of their products is manufactured in the United Kingdom, using materials sourced largely from their own quarry. It’s very important to remain environmentally aware nowadays. 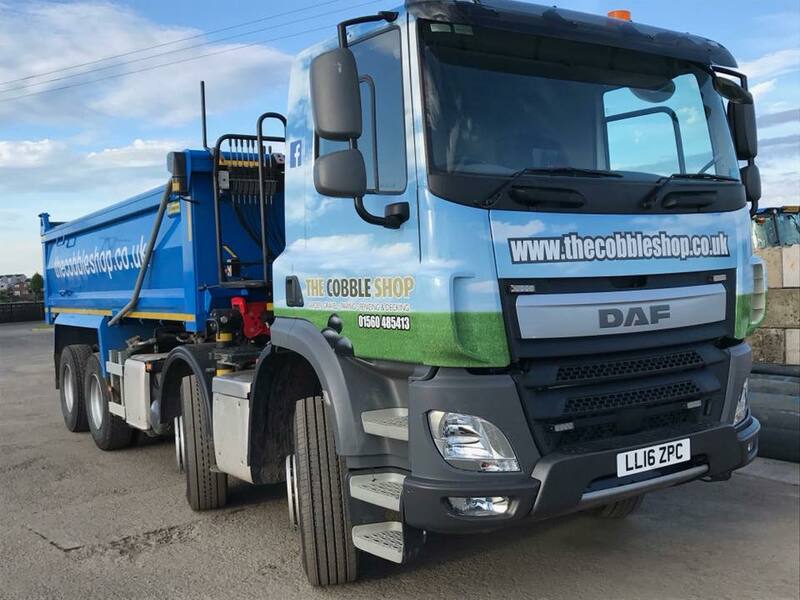 This is something we at The Cobble Shop place great importance on when it comes to the products we choose to sell, the machinery we choose to operate and the delivery trucks we choose to drive. Tobermore find this type of thing important too, offering a range of eco-products which make use of a lot of recycled content. Despite the environmental benefits, Tobermore’s Eco Paving & Walling loses none of the aesthetic benefits or physical performance of their non-eco ranges. Style is not compromised with this environmentally-friendly range. Tobermore has even developed an active concrete paving system for commercial projects that improves air quality. The AirClean system works by using natural daylight and nano technology to oxidise Nitrogen Dioxide in the atmosphere and transforming it into harmless nitrates. The revolutionary technology reduces the levels of air pollution in urban environments. 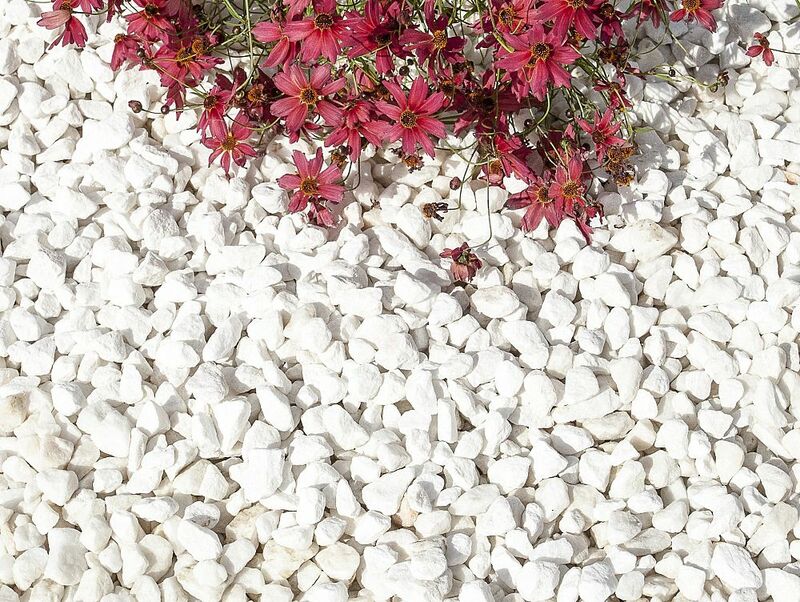 When opting for Tobermore, you’re certainly doing your bit for mother nature! When it comes to selection and choice, Tobermore stands out from the pack. The perfect solution for everyone, including DIY enthusiasts, who can choose from a myriad of options for garden projects. 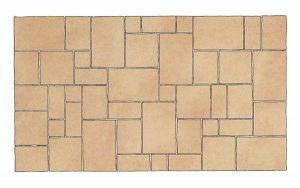 Tobermore’s products selection includes: Block paving, permeable paving, kerbs edging & channels, retaining walls and steps. 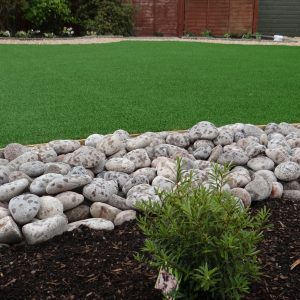 Each of these products comes in an immense variety of sizes, shapes, textures and colours, giving you complete freedom over the look and feel of your garden. Whether you’re interested in new paving slabs for a garden or driveway, some neat new garding edging or some stylish new steps, Tobermore has the product for you. 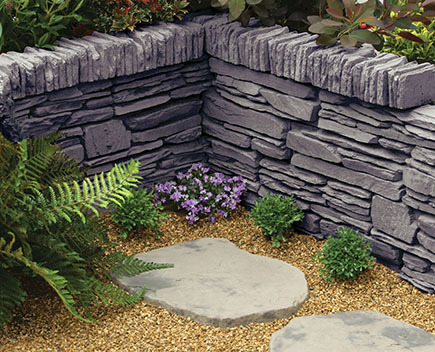 Head to The Cobble Shop’s website to browse the Tobermore range, and for some garden inspiration. If you’d like to learn more about the range, give us a call on 01560 485413 or head to our website and take advantage of our brand new live chat feature. How would you like to be in with a chance of winning £150 to spend in The Cobble Shop? That’s a whole £150 that could be spent on giving your garden the makeover it deserves, using any one of the many incredible ranges of products we have on offer in our Stewarton showroom or online! This voucher can be spent on absolutely anything. Choose from our unbeatable array of garden features, garden furniture, paving, timber, gravel, pebbles, artificial grass, gazebos, lighting features and so much more. The choice is limitless here at The Cobble Shop. No matter your dream garden, we have the materials to make it happen! With the clocks about to switch to British Summer Time, It’s the right time to start preparing for the summer months and spending more time in the garden. A great way to do this is by checking out our new Solar Ranges of lighting; absolutely perfect for those garden parties that carry on after dark! Or maybe you need some new furniture for all of the BBQ guests you expect to be hosting throughout the long, lovely and abundant (we wish!) days of Scottish Summer? This prize would be an excellent way to pick up the kinds of items that will make your garden the place to be this summer! 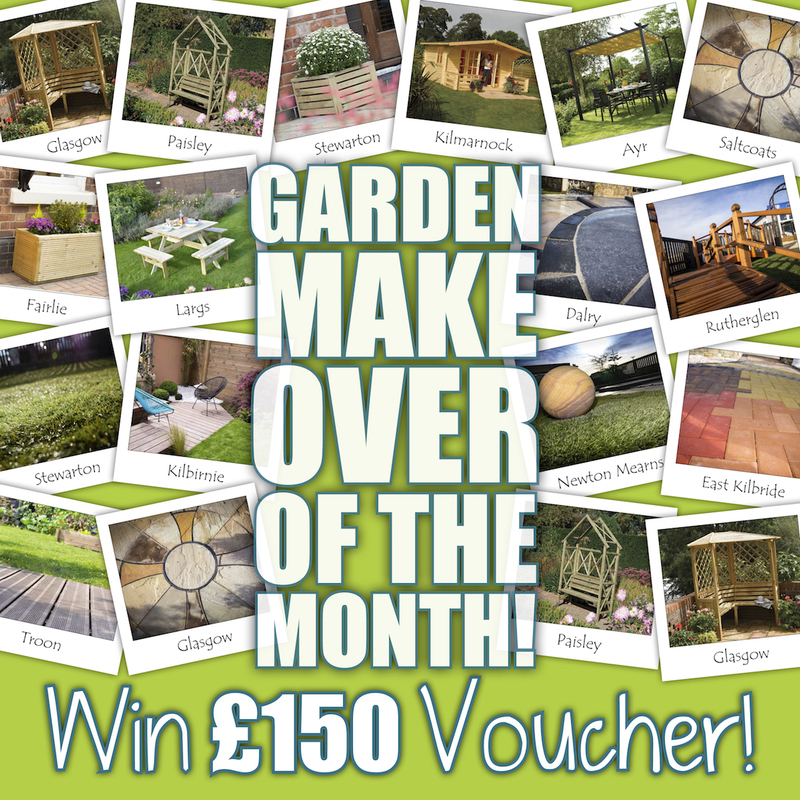 Alternatively, if you’ve been thinking about undergoing some bigger work in your garden, or buying some larger items such as sheds, gazeboes or summer houses, winning this competition would be an excellent way to cut down on the costs! It couldn’t be more simple to enter! All you have to do is post a photo to Facebook – making sure to tag The Cobble Shop – to showcase the items you have purchased from The Cobble Shop. It doesn’t matter whether you’ve only bought a few items or if you’ve given your garden a complete renovation using our products: we want to see how you have improved your garden using The Cobble Shop! Each picture will be entered into the draw and a winner will be selected at random. So make sure to send in your photos, because no matter whether you’ve only undertaken a small DIY project or something much larger, you have an equal chance of winning! Once the winner has been chosen, they’ll be contacted and informed they’ve won Makeover Of The Month and receive £150 to play with at The Cobble Shop! Climate change is a very real issue. Haven’t you been listening to Leonardo Di Caprio? Well, remember last year when he briefly stopped by Scotland for a conference? He also popped down to Ayrshire and swung by the Cobble Shop to tell us the importance of renewable energy and most importantly: solar lighting! Adding some solar lighting to your home or garden set up can have both practical and aesthetic benefits. Security is one of the main reasons people have lighting at their home, to help deter any would-be intruders attempting to use the cover of darkness to break into your house. Aesthetically, you might just need a new garden light for when you or a pet needs to go out into the garden at night. 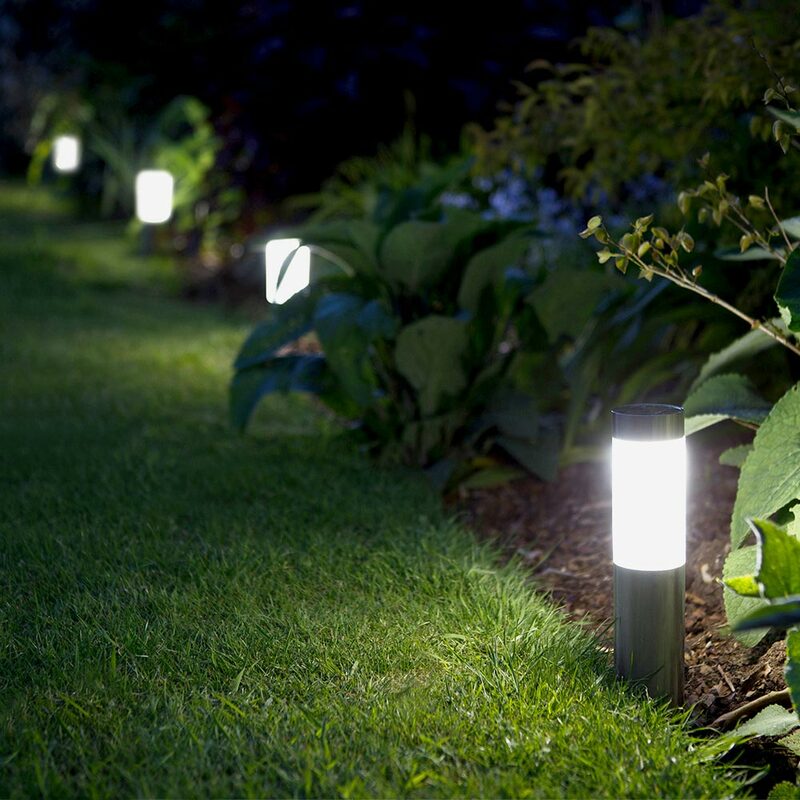 Deck lights, path lights and solar lights are also an excellent way to help improve the look and feel of your garden. Those late outdoor Summer evenings with a glass of wine will be made all the better with some ambiance-enhancing, garden lighting. The Cobble Shop is bringing in a range of different solar lighting products to help improve the security and charm of our customers’ gardens. There’s a huge and varied range of Solar Powered Lighting options available at The Cobble Shop, with the lights coming in the form of spot lights, mounted wall lights and different shaped decking lights; as well as post lights to help illuminate a path. Many of the solar lighting fittings come with motion sensors, which act as excellent security deterrents and will save you having to switch lights on and off each time you wish to use them. Alternatively we also have options with automatic timers on them, to help keep your garden lit during the night. What are the benefits of Solar Powered Lights? Opting for Solar Powered Lighting has a number of different benefits: for starters, you won’t have to worry about an astronomical electricity bill! Despite not being connected to the mains, these solar lights can run for up to 12 hours! Other benefits include that they WILL work in Winter, despite some of the myths out there and despite the (unfortunate) fact that Scotland isn’t the most sun-blessed country in the world at the best of times! Another age-old myth about solar lighting is that the light isn’t powerful, we beg to disagree, and invite you to come and ask in store about the products and see for yourself just how impressive these Solar Lights are! The Cobble Shop only provides the highest quality, powerful, weather-resistant and stylish solar lighting fittings, and with everything we provide, we guarantee we won’t be beaten on value for money or customer service! P.s Leo DiCaprio didn’t really visit The Cobble Shop, but he’s welcome to any time… we’ll get the kettle on! Earlier this month it was announced that Paisley would be putting forth a bid for the prestigious title of City of Culture for 2021. Are you in Paisley? Can you look into the garden and honestly say your old garden furniture or weathered garden ornaments are worthy of being part of the City of Culture? If not, then The Cobble Shop can help bring it up to standard! This bid attempt is huge news for Paisley, and the it’s even been backed by Hollywood superstar and Paisley native Gerard Butler. The Cobble Shop would like to throw our equally weighty support behind Paisley’s bid, which is designed to use culture “as a catalyst for economic and social regeneration and raise the profile of arts and creativity” in the city. As creatives ourselves down here at The Cobble Shop, we can think of no better way to improve the general feel and character of an location than by making the most of each and every garden in the city and surrounding areas! So, to help the good people of Paisley do this, we are offering FREE DELIVERY on our entire range of garden aggregates, ornaments, and decorative materials to everyone in Paisley! The Cobble Shop want to make it as easy as possible for everyone to do their bit for Paisley’s bid to be named City of Culture and giving your garden a face lift will do just that. 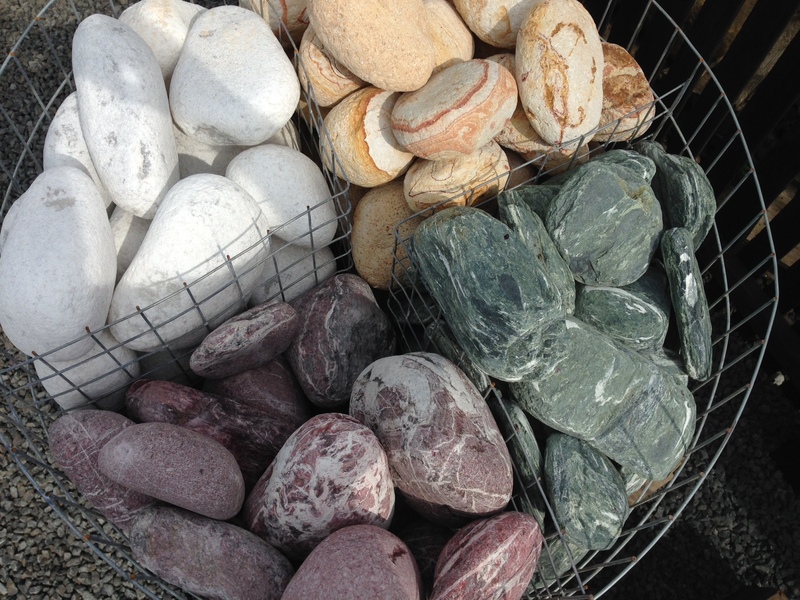 The Cobble Shop provide all kinds of decorative garden ornaments and furniture; garden aggregates such as decorative cobbles, stones, slabs, paving, fences, chips and artificial grass. We also provide a vast array of building materials such as cement, ballast, blocks gravel and timber. With the selection of products and materials we provide, what you wish to do with your garden is limited only by your own imagination. Our experts can help to advise you and use their knowledge to help guide your ideas, developing your dream garden and making it a reality. And if you’re the type of person who isn’t interested in all of the fuss and fan-fare around Paisley’s City of Culture bid… we’ll be happy to help you build a big fence to block out all of the chatter surrounding the bid! Our reputation for offering a helpful and friendly customer service experience has been built up over many years of hard work and tireless dedication. It is something we are extremely proud of and we are excited to bring it to the people of Paisley too. 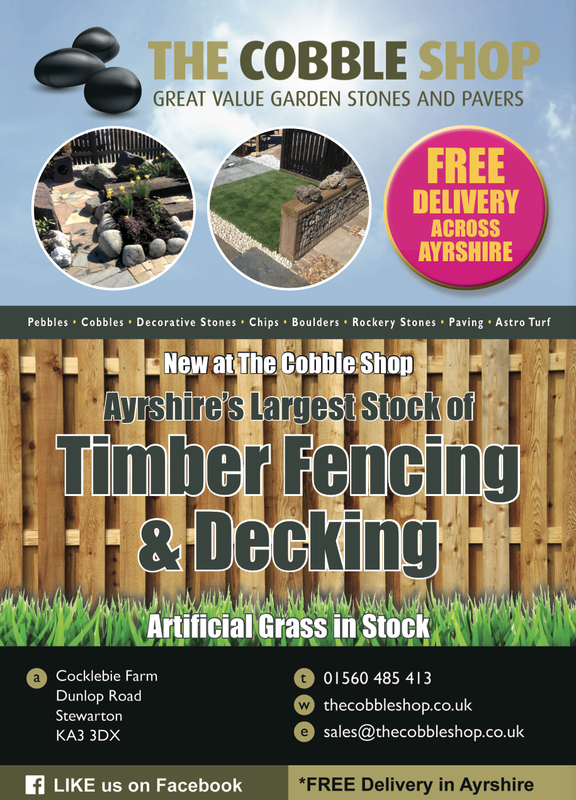 So if you are from Paisley and are interested in giving your garden an upgrade and want to know what The Cobble Shop can do for you, check out the rest of the site or give us a call on 01560 485 413 and we’ll be happy to answer any of your questions. Just like last year, this year is going to be a BIG year for The Cobble Shop. It may only be early in 2017 but we’re thinking of the future and how we can better ourselves and deliver our services and products further afield. One of our most recent developments at The Cobble Shop was the addition of East Kilbride to our list of locations to benefit from free delivery! This means the good people of East Kilbride will now get free delivery on our huge range of decorative garden aggregates and building materials. That’s right! 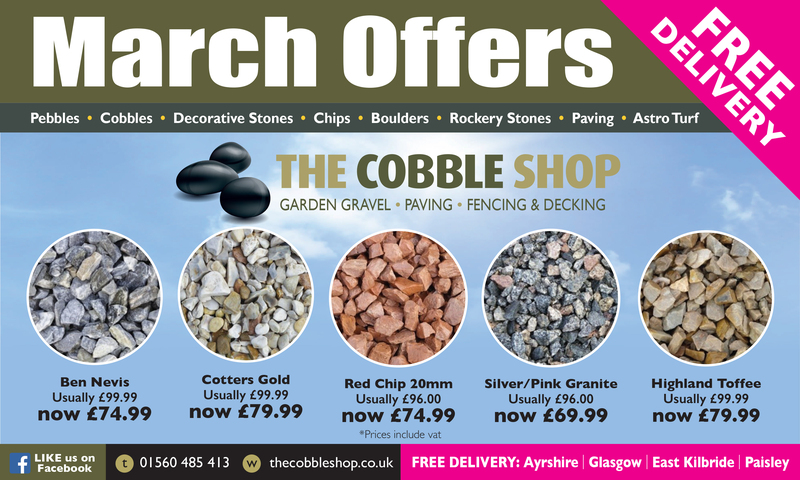 If you live in East Kilbride and your garden needs a touch up, perhaps some new stone paving, some furniture for all those summer parties to plan to throw, or even just a few decorative garden ornaments and features to liven it up, you can get free delivery on ALL of our fantastic products at The Cobble Shop! As always, we strive to improve our service, expand our reach and deliver higher quality goods to our treasured customers. Each year, we’ve managed to smash our own personal targets, allowing us to deliver better value and an even more informed and expert service to our customers. Over the many years we’ve been operating in Stewarton, we’ve gone from strength to strength and thanks to our wonderful customers and the amazing people in the local community, we really do believe the sky is the limit for The Cobble Shop! 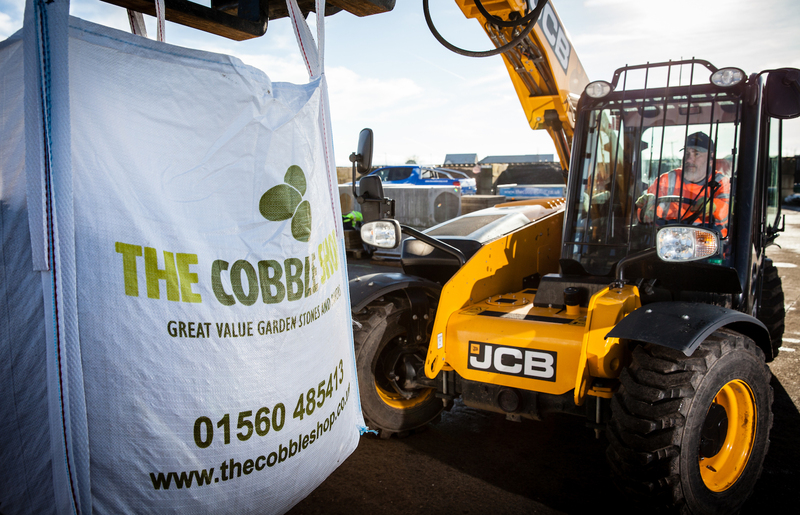 Our ever-widening vision is pushing us to aim further, looking to reach more people and take our range of garden aggregates and building materials to new audiences. Beforehand, The Cobble Shop offered free delivery to anyone in Ayrshire, Paisley and Glasgow, but we wanted to go one step further and expanded our free delivery service to East Kilbride too. What can the people of East Kilbride expect from The Cobble Shop? At The Cobble Shop, we can turn your dream garden a reality. Whatever you’re looking for, The Cobble Shop has it! We can’t be beaten in terms of the variety of products we offer. For your garden, we have just about anything you could ever need, whether it’s artificial grass, stepping stones, porcelain paving (check out our recent blog for more), garden ornaments or furniture, soil or compost – The Cobble Shop has it all. 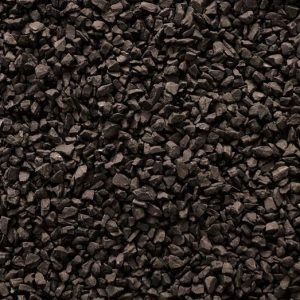 In addition to that, we also stock a large selection of building materials, such as sand, concrete, drainage gravel and timber. Our vast and varied array of products are all listed on our website. The people of East Kilbride can also expect the same top-quality customer service experience we have been delivering to the people of Ayrshire and Glasgow! Our reputation for offering a helpful and friendly customer service experience precedes us and has been built up over many years of hard work and tireless dedication. It is something we are extremely proud of and we are excited to bring it to the people of East Kilbride. So if you’re from East Kilbride and want to know what The Cobble Shop can do for you, check out the rest of the site or give us a call on 01560 485 413 and we’ll be happy to answer any of your questions. Keeping up with trends is tough. Whether it be with fashion, music, the arts, or even design and decor. Unfortunately, we can’t tell you which colour T-shirt you should be wearing this season – although this being Ayrshire we’d recommend something warm! – but we do know a thing or two about the latest goings on in the world of gardening and landscaping! One such product currently soaring in popularity in Scotland is porcelain. 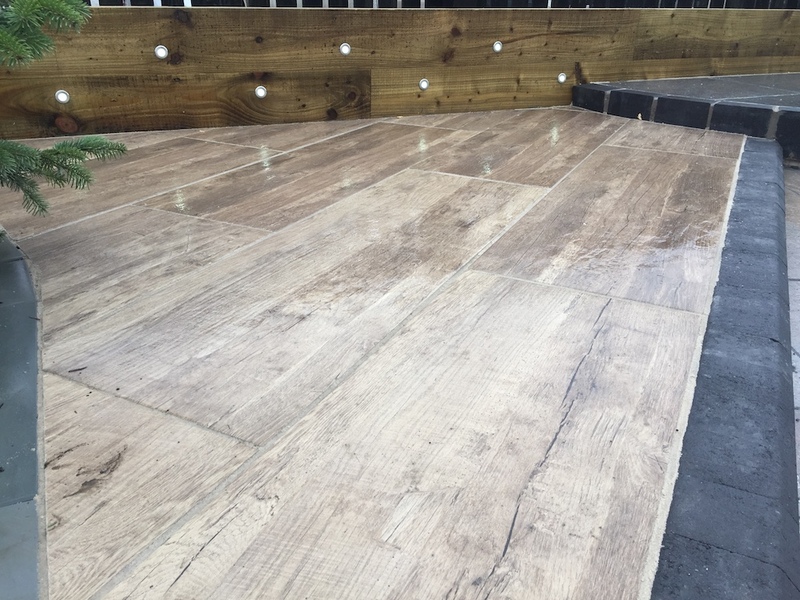 Having been popular down south for a little while, the demand for porcelain paving, slabs and tiles has been making its way north of the border and quickly gaining popularity in Scotland – especially around the Glasgow area. What are the benefits of porcelain paving? 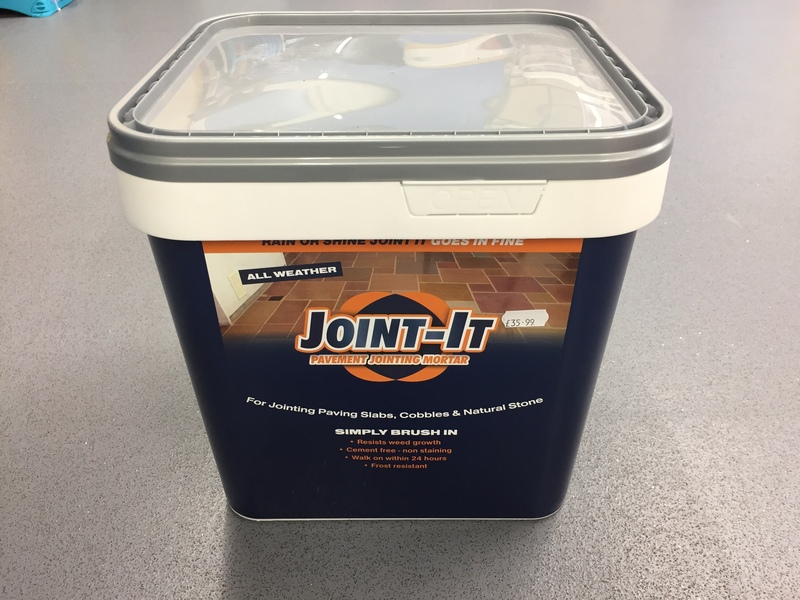 Who wants to spend their weekends treating tiles and worrying about algae or moss forming? Doesn’t sound like much fun, does it? Thankfully with porcelain paving this isn’t an issue. It’s resistant to stains and its incredibly low porosity (<0.1%) level means you needn’t worry about any of the problems that can arise from the absorption of moisture. 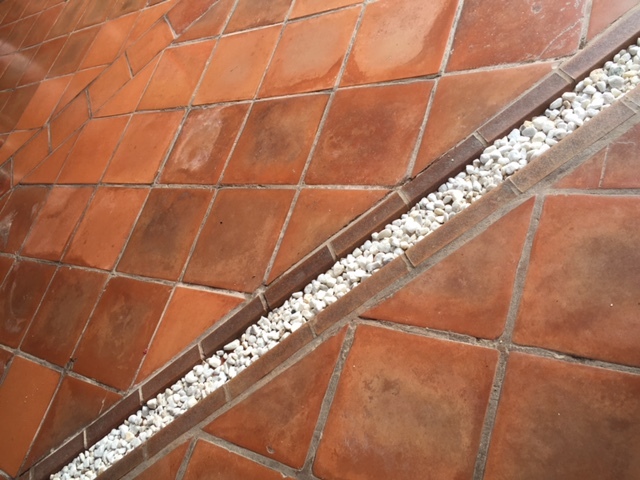 Porcelain is highly resistant to just about anything, from the weather (including sunlight – for the lovers of black finishes) to chemicals such as oils, plant fertilizers, salts and even acids. 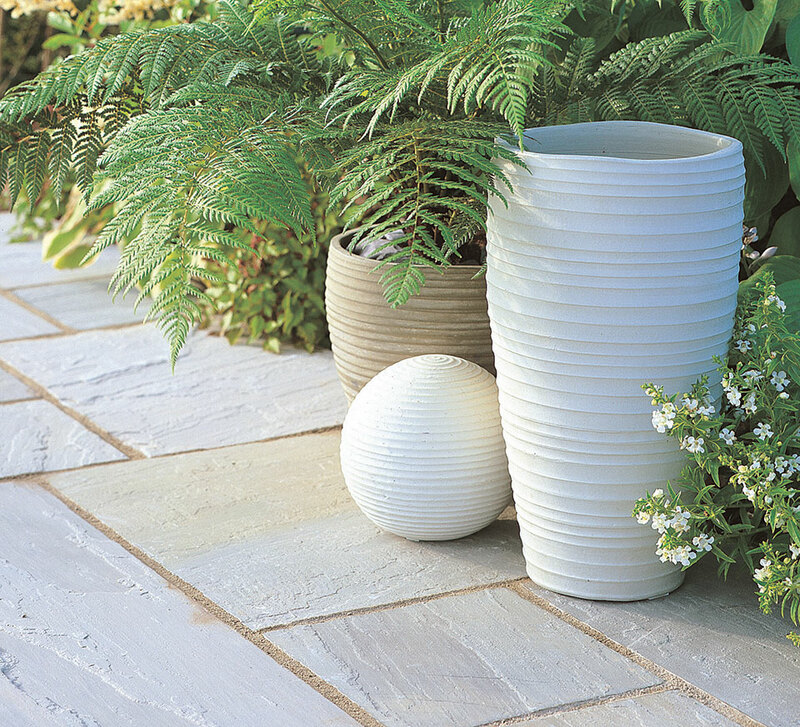 General wear and tear certainly won’t be an issue when you opt for porcelain in the garden. As well as the hard-wearing nature of porcelain, it also comes in a multitude of different styles. The variety of porcelain slabs is virtually limitless and you’re spoiled for choice when it comes to making your decision. A porcelain finish will also give a much more sophisticated feel to an area, something that other materials can’t match. We pride ourselves on making sure we do everything we can to aid our customers, so we set up a porcelain paving demo area at The Cobble Shop in Stewarton! This gives you the opportunity to see for yourself what porcelain paving looks and feels like when it’s actually laid. 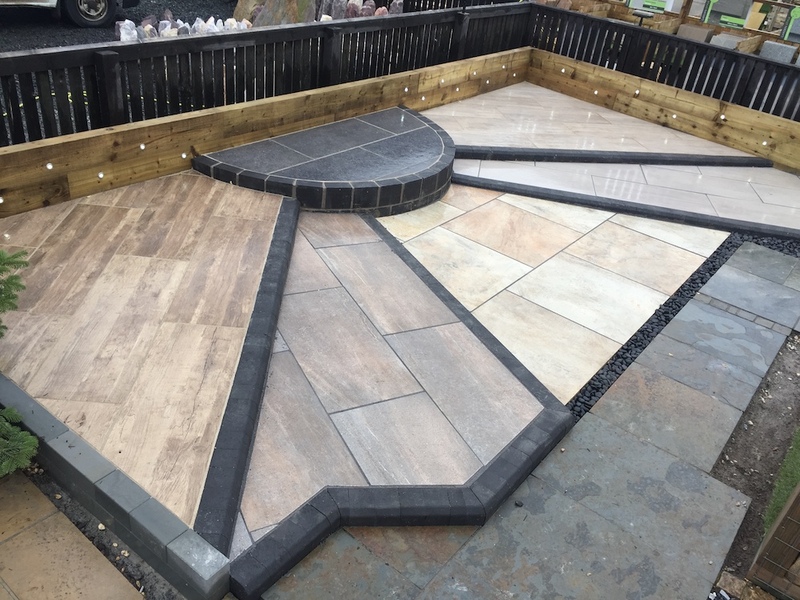 It’s one thing to see photos of porcelain paving online, but experiencing it in a purpose-built display area helps you to better appreciate the true quality and feel of a porcelain installation. At The Cobble Shop, we know everything there is to know and more about porcelain. So if you’re thinking about porcelain paving for your garden or work premises, come to the experts. No one can match us on knowledge, experience or value for money. We’re also pretty sure no one can beat the customer service experience you will receive from our helpful and friendly staff! And just as with all our other products, we offer free delivery in Ayrshire, Glasgow, East Kilbride and Paisley! So pop down, check out demo area and we’ll be happy to answer any questions you might have. For the whole of May 2016 we have our fantastic Onyx chippings on Promotion. Usually £166.80 per ton and now only £139. Delivered for free across Ayrshire, Glasgow, East Kilbride and Paisley. Now in stock at The Cobble Shop this stunning Arctic Granite Revolve Kit. Free Delivery in Ayrshire, Glasgow, East Kilbride and Paisley. Orders outside of this area will incur a delivery charge at checkout. Now in Stock 15.8m Patio Packs of Stonemarket Indian Sandstone. Best Quality Sandstone that we have ever seen, all calibrated. Ethnically sourced well packed paving. 5 mixed sizes in pack. 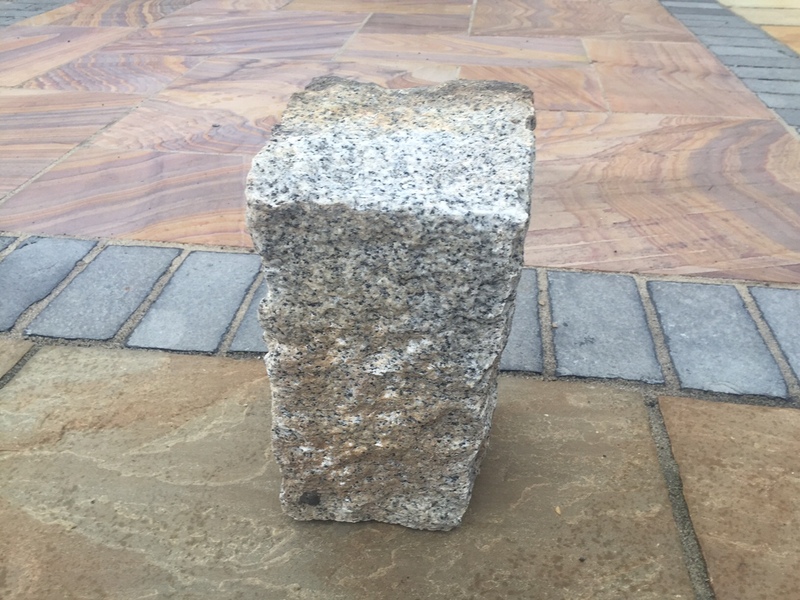 We currently have a large of stock of these fantastic reclaimed granite cobbles. The average size is approx. 150x150x300mm and average weight 16-18kg. These are fantastic and can be used as paving, edging, walling and much more, thy are very versatile and virtually indestructible. These can be sold by the bulk bag or in loose loads. For loose loads please call 01560 485413. We are currently arranging and cataloguing our stock of rare Turkish stones to make them available to view and purchase online. 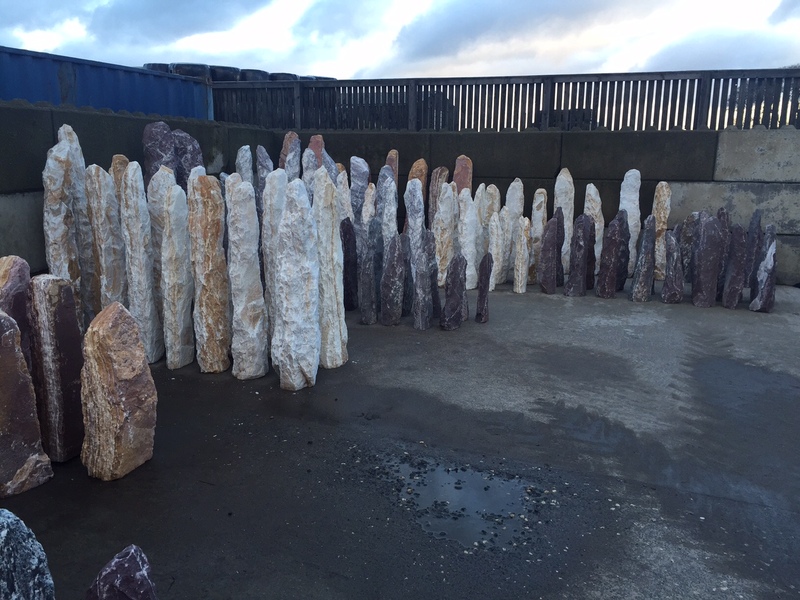 Many of these are drilled ready to be used in a water feature and all have flat sawn bottoms making them easy to place and install. They will be available online very soon and can be shipped anywhere in the uk. All local deliveries around Ayrshire and Glasgow will be delivered for free and where possible we will use our hi-ab lorry to assist with the placement. 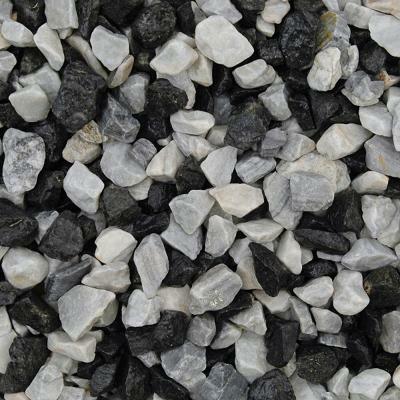 We have added another very special stone to our aggregate stock called Black Ice. It is a mixture of Black Basalt and Blue/White Marble. 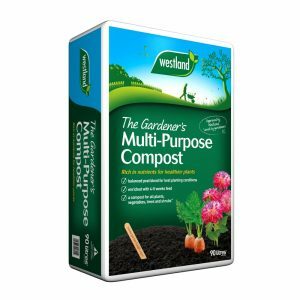 Available in Bulk Bags, 25kg Bags or Bulk Loose Loads. All with Free delivery across Ayrshire, Glasgow, East Kilbride and Paisley. We are delighted to announce that we are now stocking the beautiful Turkish Onyx chippings. These are available in Bulk Bags, Small Bags or Loose Loads. For loose loads please call the office on 01560 485413. 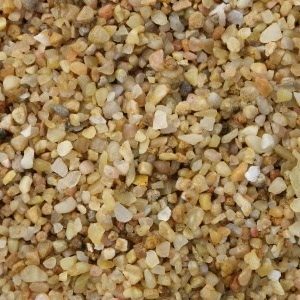 We are delighted to be stocking this fabulous imported Flamingo 20mm gravel. It is a beautiful blend of Whites, Pinks, Oranges and Greys. We have it on display and it is going down a storm with our customers and of course we will deliver it for free all across Ayrshire, Glasgow, East Kilbride and Paisley. 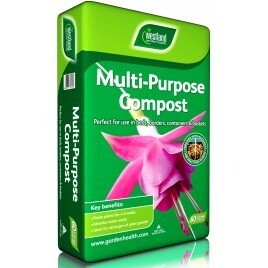 Perfect for a variety of gardening and planting uses. 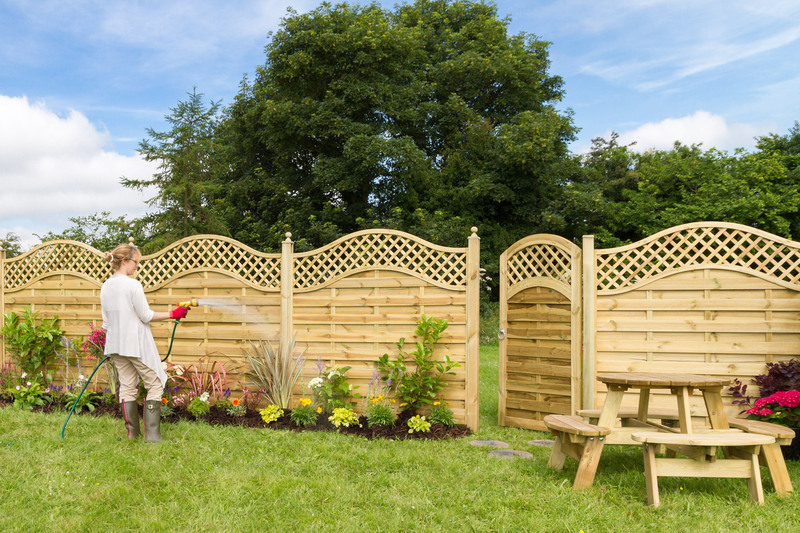 We are delighted to announce our new range of fence panels which are now available to buy online. 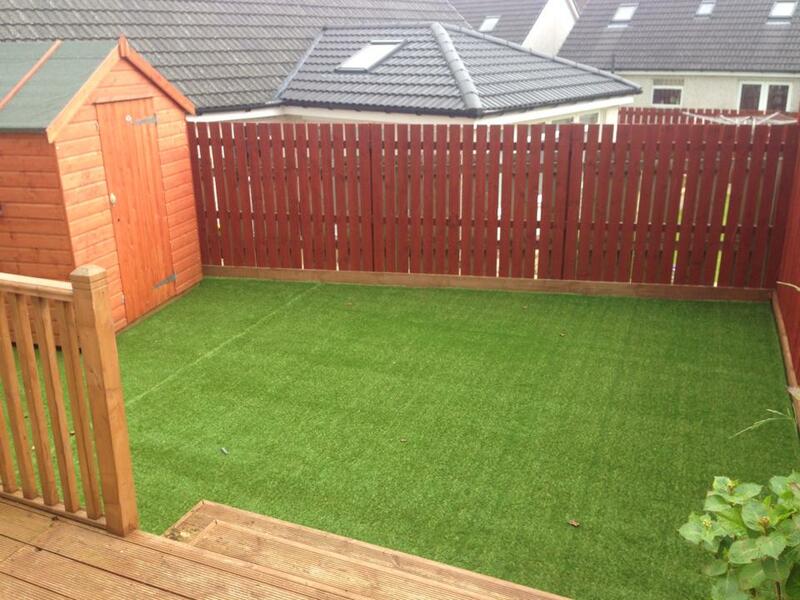 We are now Ayrshire’s largest stockist of artificial lawns. We carry large stocks of 2m and 4m widths as well as jointing tape, adhesives and everything else you need to create a wonderful year round lawn. 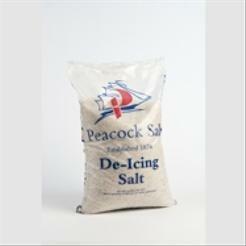 With winter fast approaching remember that The Cobble Shop now stocks winter fuel and de-icing salt. Our peacock salt is white and therefore very clean to use. 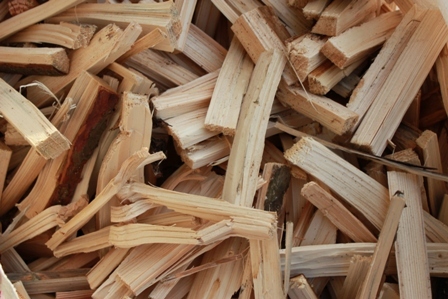 We also stock firewood logs in small nets as well bulk bags. 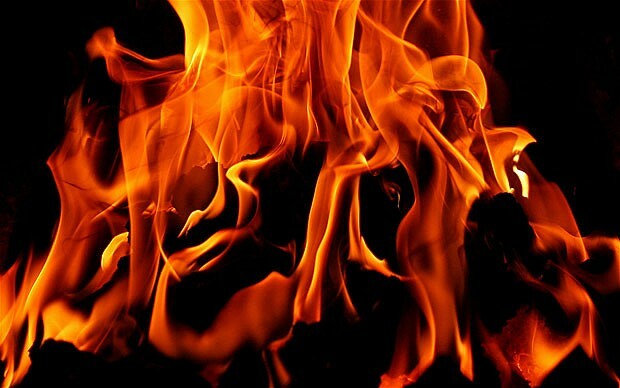 To get your fire going we have kindling and firelighters all competitively priced and in stock now. Now available online and in our Ayrshire store. We now stock a full range of Winter products. 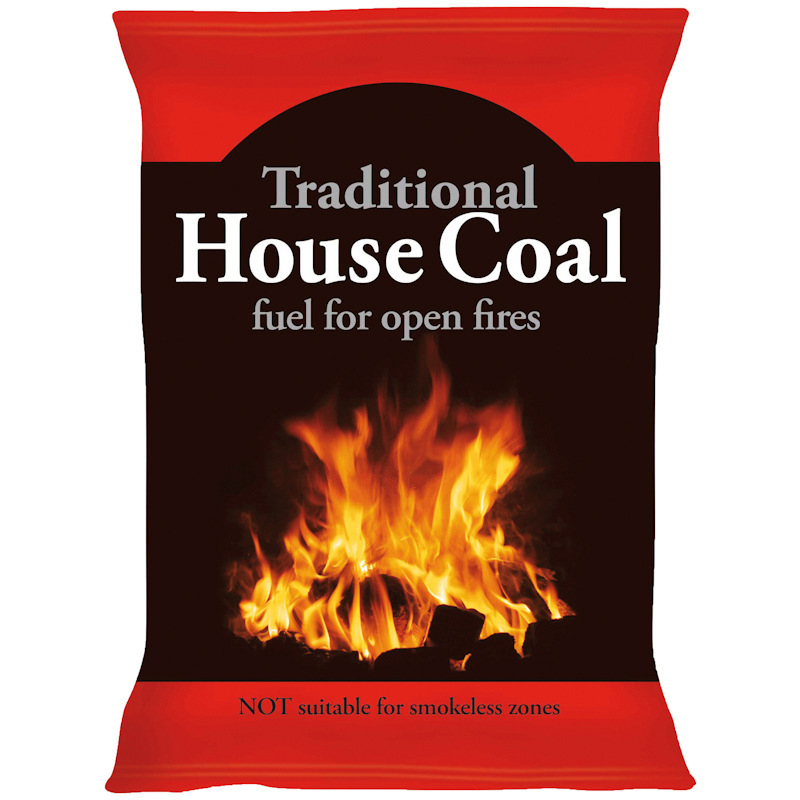 From Bags of Kiln Dried Logs and Kindling, to bulk bags of seasoned logs and 20kg bags of House Coal. We are now getting geared up for Winter her at The Cobble Shop with supplies of the best De-Icing salt on the market. 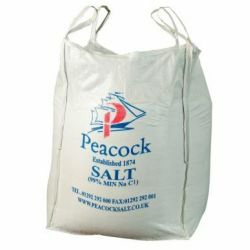 Peacock salt is an Ayrshire based company that produces ultra white, ultra clean de-icing salt. Having used most of what is available on the market I know from my own experience that Peacock is the best and the quickest to work on frozen ground. Please see the winter products section under the Garden Aggregates section of our website. We also have other products coming very soon, coal, logs, kindling etc. 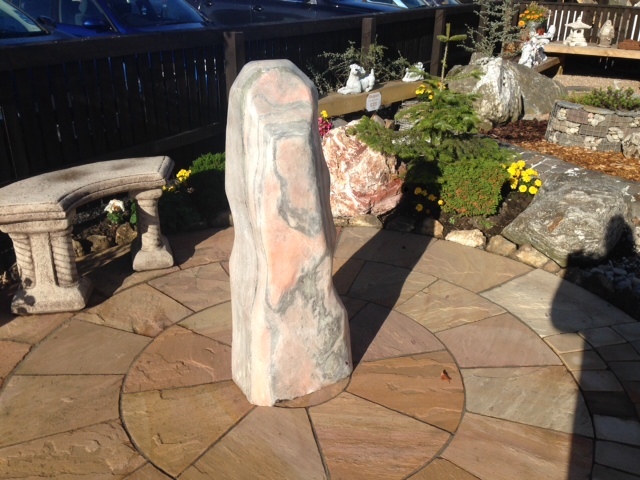 We are currently adding many new products to our fantastic range of standing stones. 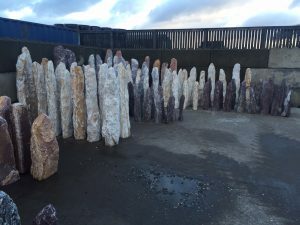 Many of these are pre-drilled and can be incorporated into a water feature. Keep an eye on our blog and our website as we will be uploading details soon. Ryan Mitchell October 4, 2014 Comments Off on Firewood Logs, Coal and Kindling in Ayrshire. Firewood Logs, Coal and Kindling in Ayrshire. Winter is coming so come to The Cobble Shop and get stocked up on winter fuel. 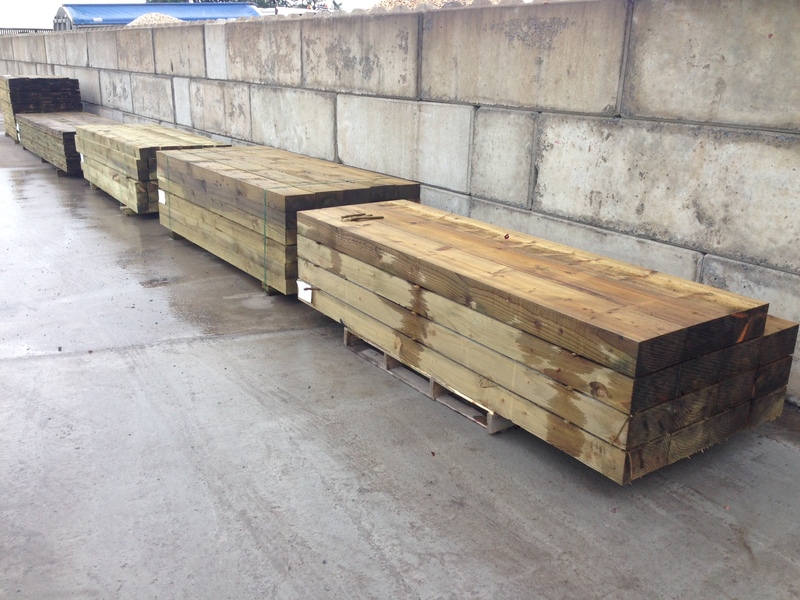 Our timber business is growing and already we have had several major fencing and decking projects completed. 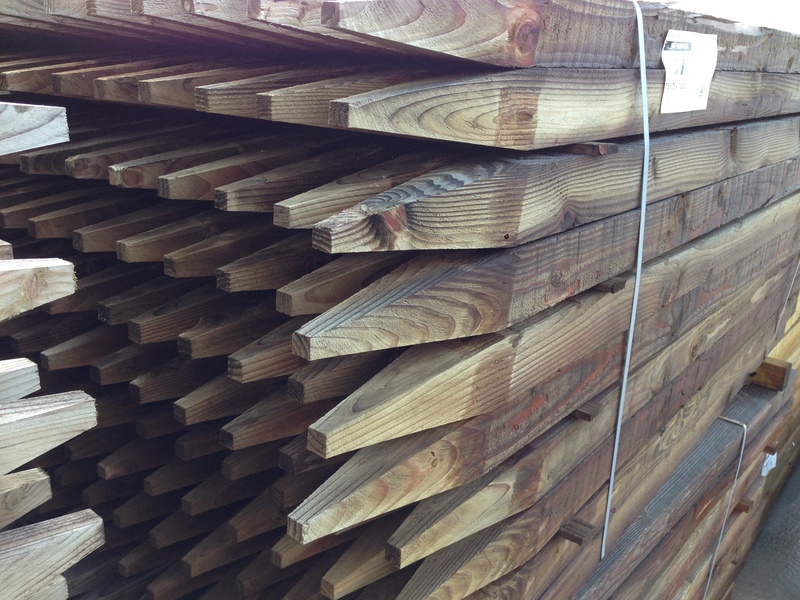 We have more stock than ever, All fencing posts, slats and rails as well as quality decking, handrails, posts and joists. We are also bringing in a Cuprinol Timbercare range as well as many other exciting new products in the near future. 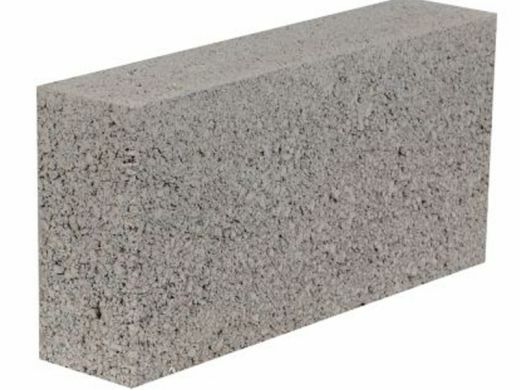 Due to demand from our customers we are now stocking Concrete Breeze Blocks in both standard and smooth (paintgrade) all with our usual free delivery in Ayrshire, Glasgow South, East Kilbride and surrounding areas. Due to the popularity of our Buff coloured Kelkay Daleside Walling we have decided to bring in the Valley Slate colour as well. These will be available as Full Block, Half Block and Coping/Edging Stones. 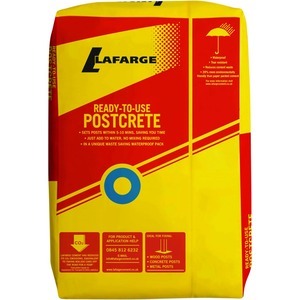 Our fencing customers are telling us that La Farge postcrete is the first choice of the professional so we are now stocking it as part of our extensive fencing range at just £5.99 including vat. 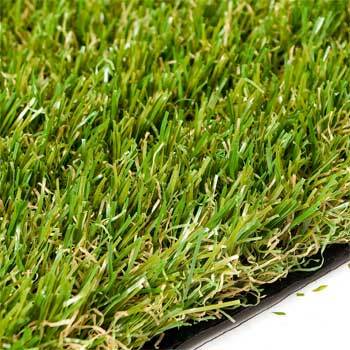 Our Artificial Grass is available online as well as Jointing Tape, Adhesive and shock pad underlay. Free Delivery throughout Ayrshire, Glasgow South and East Kilbride. Any enquiries outwith these areas please call us on 01560 485413 and we will work out the best transport costs we can. 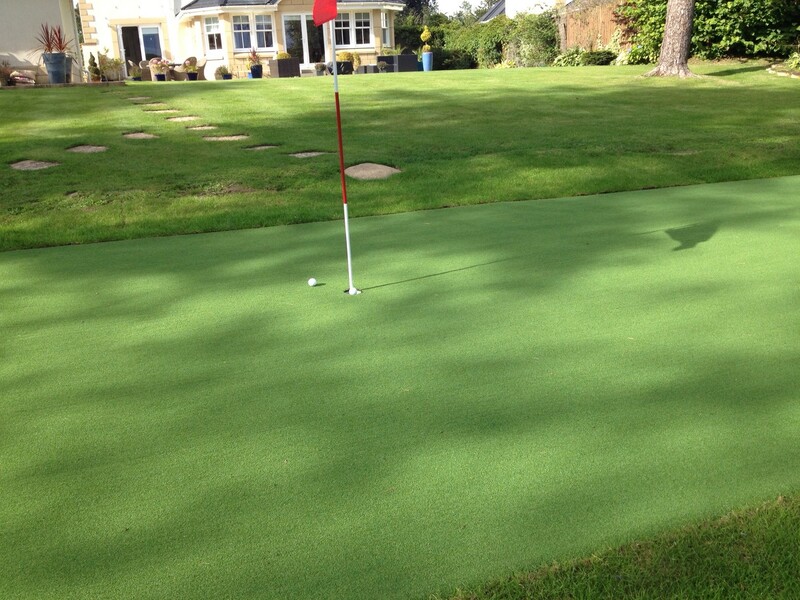 We are now able to supply putting greens, flags and cups for all you budding golfers out there. We have further extended our range of Kelkay products. We now stock Daleside Walling, Abbey Circle Kits, Minster Octagon Kits, Timber Stepping Stones, Half Penny Stepping Stones, Compass Stepping Stones, Sunshine Stepping Stone, Random Stepping Stones and an extensive range of Rockery Stones. We are delighted to announce that we are still increasing our Kelkay range and now have a wide selection of Circle and Octagon Kits in stock and available to purchase on our website. We have now added our Kelkay Abbey Circle Range to our Website. We have all of these in Stock for immediate delivery. 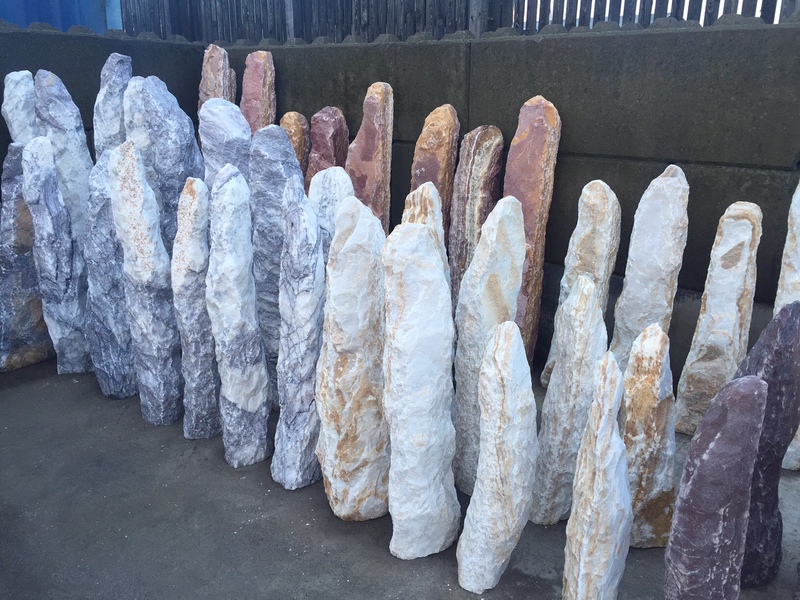 We now have a large range of monoliths, feature and standing stones available to buy online. 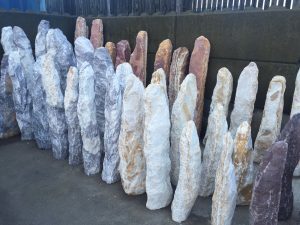 We have slate, sandstone, purple schist, onyx, laguna rosso, honey stone, Grampian marble, firestone and many more attractive stones that would make a great centre piece in any garden or display. We are excited to announce that we are expanding into timber supply. We feel this is a natural progression for us and we are still very much a garden/landscape supplier. 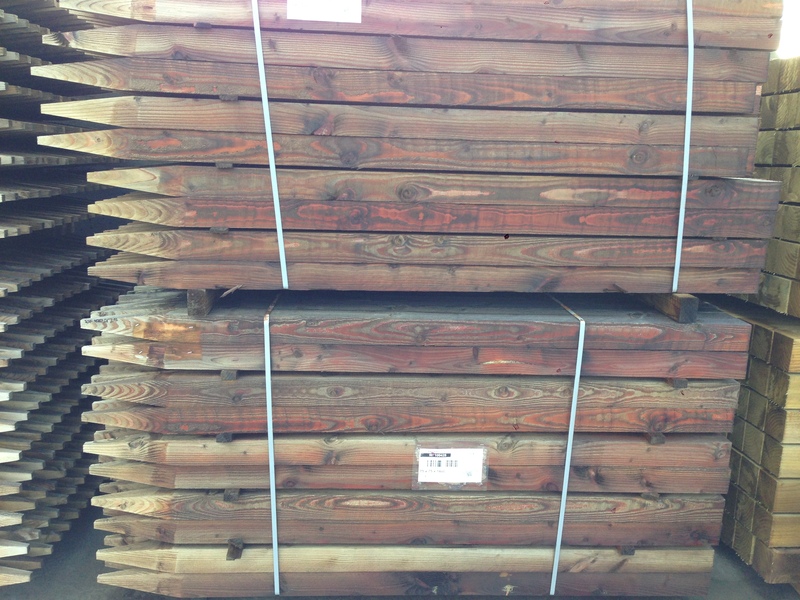 Stocks of reasonably price high quality timber are arriving daily at our premises in Stewarton, making us a one stop shop for all your garden and landscape needs. Keep a close eye on our website and facebook page for more announcements coming soon. 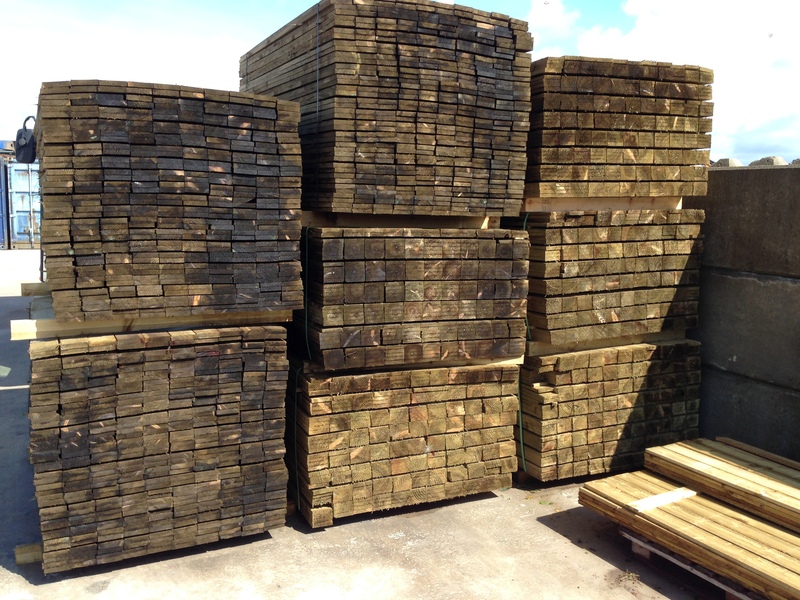 We aim to become Ayrshires number 1 supplier of all types of Timber, Decking and Fencing. And of course The Cobble Shop is still offering free delivery on all products. details coming soon. 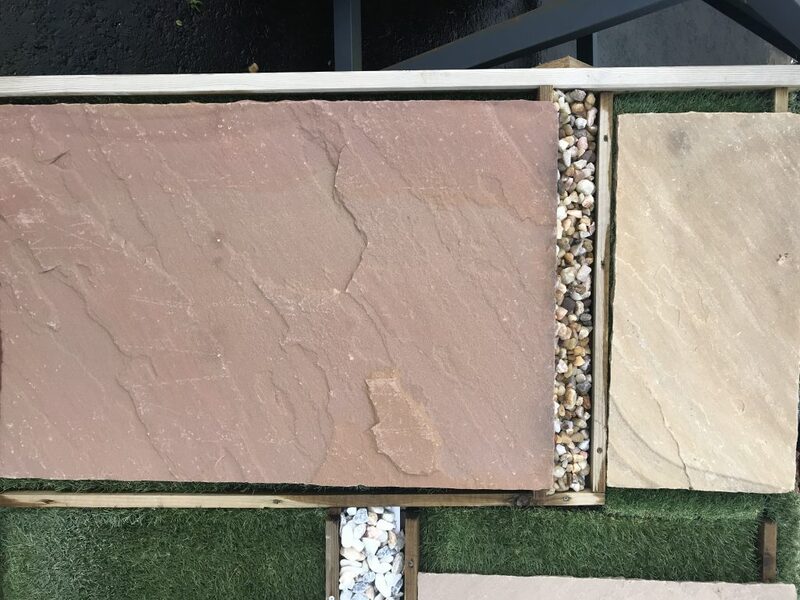 As it is July and the gardening season is in full swing we have decided to put 3 of or most popular garden stones on promotion. 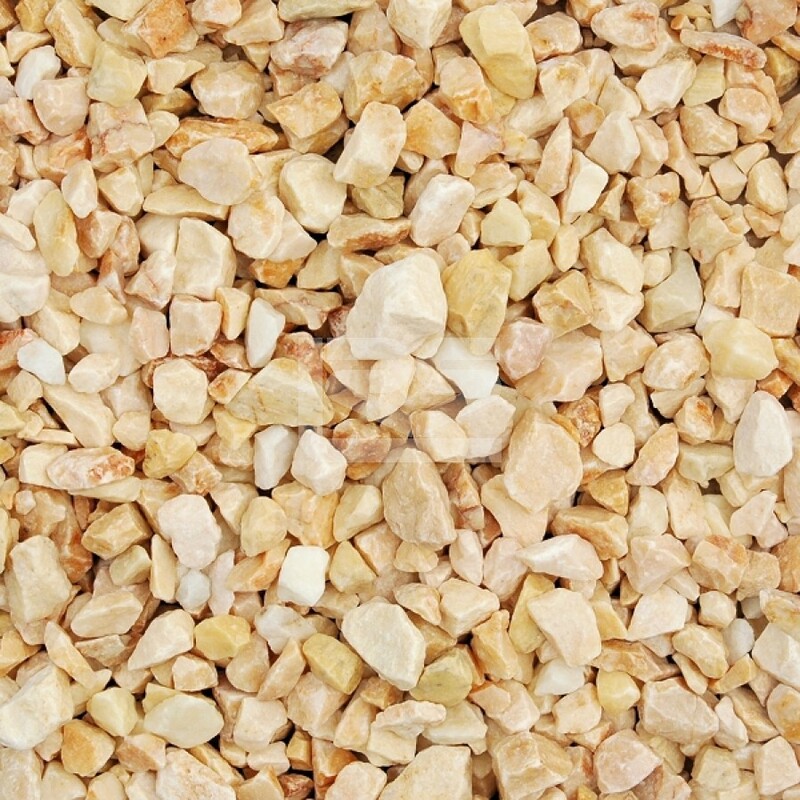 We have Grampian Marble for £99, Golden Gravel for £90 and 20mm Quartz also at £99. All delivered for free anywhere in Ayrshire, Glasgow South, East Kilbride and surrounding areas. 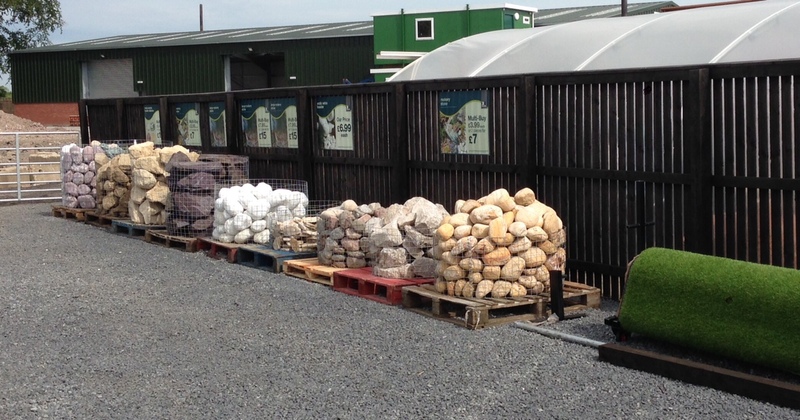 New Rockery Display area at The Cobble Shop. 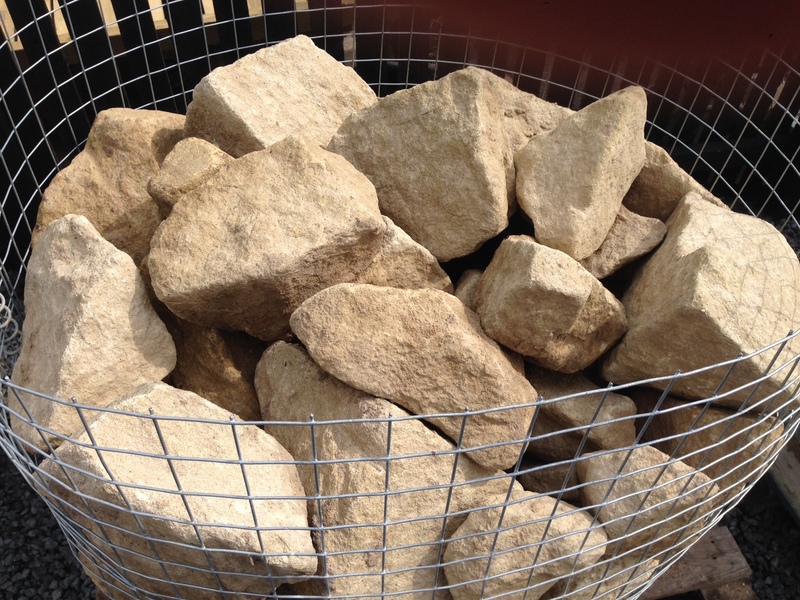 We have Cotswold Rockery, Highland Rockery, Large Plum Slate Rockery as well as many more. Prices start from just £3.50 so please come up and have your pick of the crates. 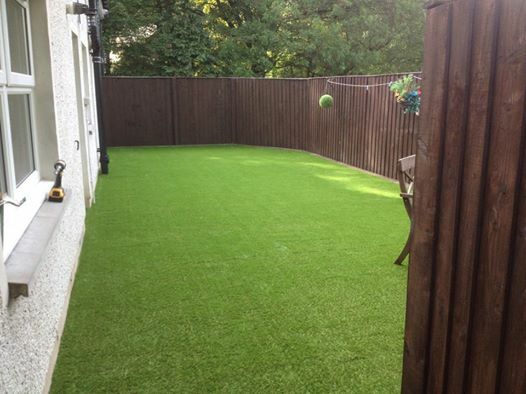 Here is a few examples of our customers using artificial grass on decking. Looks amazing we think. Special offers extended until end of June Cotswold Buff £99 inc vat – Safford Pink 14mm £90 inc vat – Spey Chips £90 inc vat, and of course free delivery across Ayrshire, East Kilbride and Glasgow South.